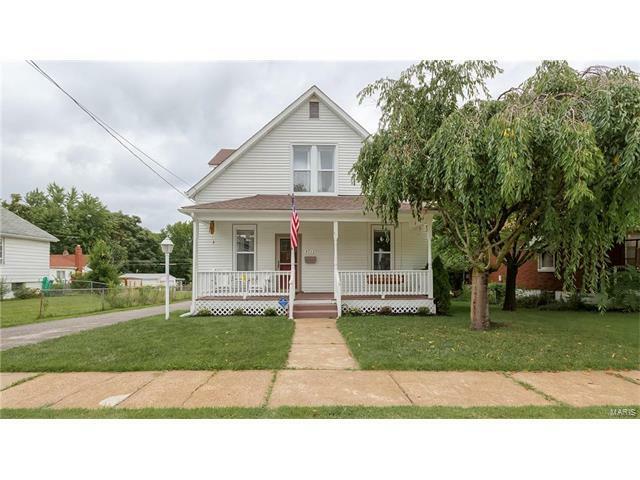 GORGEOUS turn key 1.5 story charmer! This 3 bdrm, 2 FULL bath home is a hidden gem! Still has a stained glass window in living room. The interior will blow you away. From Location to Lower Level, you can't go wrong. Complete renovation in 2015: kitchen (granite, back splash, island, ceramic tile floor, SS appliances), Baths (new vanities and complete new tiling around showers) , Rest of home (rich wood veneer floors, Double hung tilt in windows throughout, ROOF AND ELECTRIC UPDATED, TOO!) More recent updates include: new garage door, garbage disposal, light fixtures , ceiling fans, newly stained deck, blinds, etc. Mstr bedroom is currently being used as owner's office, but there is a good sized loft/sitting area on upper level for your office in order to make a true main floor master bdrm. So much natural light comes through the home. MUDROOM leads to Deck & fenced yard. Detached 2 car garage. Refrigerator & CHOICE Warranty included with strong offer! DON'T MISS OUT!